State superintendent of Schools Dr. Michael Martirano with students. 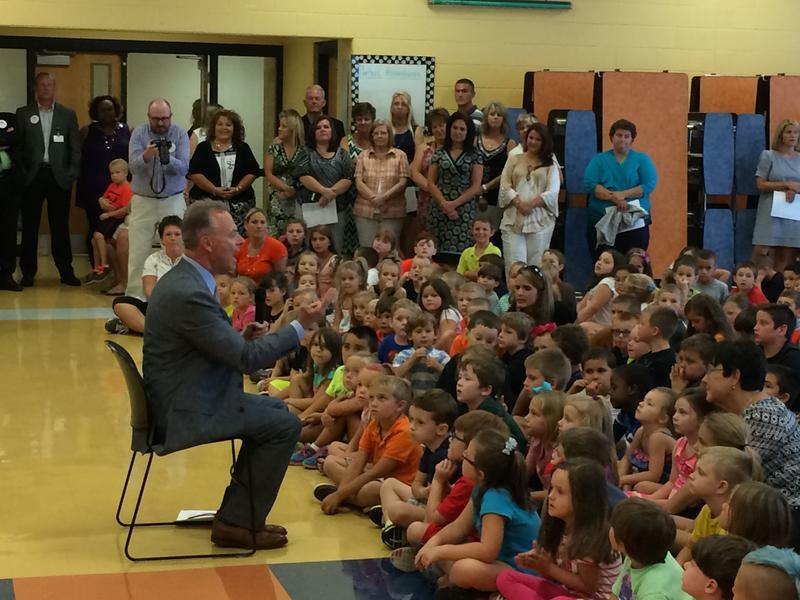 The report notes West Virginia landed at the top of the list due to its robust pre-K programs. In addition to state-funded pre-K, West Virginia has low adult-to-child ratios in pre-K classrooms and high standards for teachers, requiring a bachelor’s degree with specialization in early childhood education. West Virginia ranks alongside New York, Oklahoma, Connecticut and Wisconsin in the top-tier based on 65 indicators in seven policy areas also including educator qualifications, equitable funding and standard assessments. State Superintendent of Schools Dr. Michael Martirano said closing the literacy achievement gap by the end of third grade will increase opportunities for all West Virginia students to graduate high school with the skills needed to be college or career ready. A new West Virginia commission's discussions of possibly changing standardized testing won't be public. K-12 Educators: Are you an edtech pioneer? Apply now for a once-in-a-lifetime FREE Professional Development experience including a trip to Denver, CO preceding this year’s ISTE ( International Society for Technology in Education) conference for hands-on training!